Deciphering frame sizing methods and discovering your perfect fit. 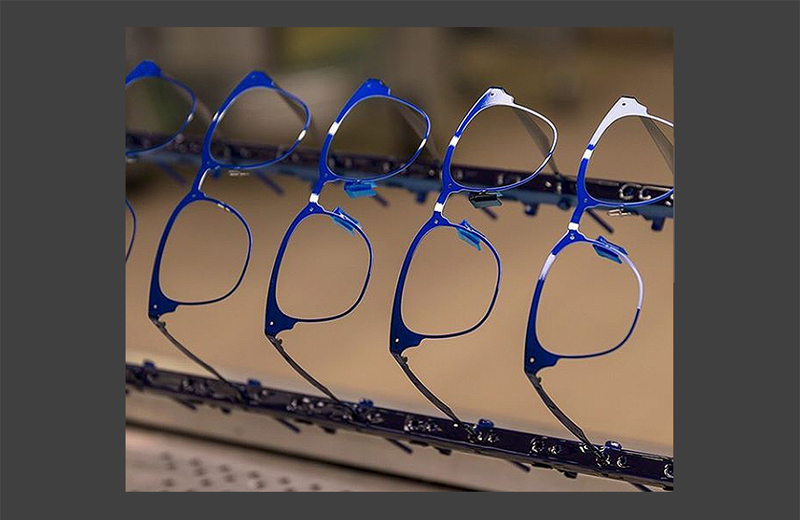 Stock eyewear is a term used to describe mass-produced frames made with no specific face or prescription in mind. The truth is, stock eyewear assumes everyone's face is basically the same and does not account for any difference in race, gender, or size. If you're reading this, you probably know that many eyewear brands offer some accommodation for different sizes, but how accurate and useful are these sizing methods? This highly exclusionary approach is the laziest sizing method, as well as the most ubiquitous. In this method, brands mass produce all styles based on the same imaginary face, and if they don’t fit you, that’s your problem not theirs. Everyone is different. Period. I think we can all agree that an Asian female with a petite face and low nose bridge cannot wear the same glasses as a 6’7” caucasian male with a very large head. Yet, that's the expectation set forth by this sizing method. Some stock eyewear providers have tried to be more inclusive by creating glasses in different sizes. So, instead of trying on every frame and filtering by process of elimination, you’re able to filter for small, medium, or large sized frames. It's kind of like shopping for clothing. If you know you wear a size medium T-shirt, it’s easy to adjust your search to only see products relevant to your size. Problem solved, right? Faces are not uniform in size. Knowing you have a size small face, says nothing about the location of your ears, the shape of your nose bridge, or the placement of your eyes. Furthermore, unlike a T-shirt which is stretchy and flexible, eyewear is structured and hard. 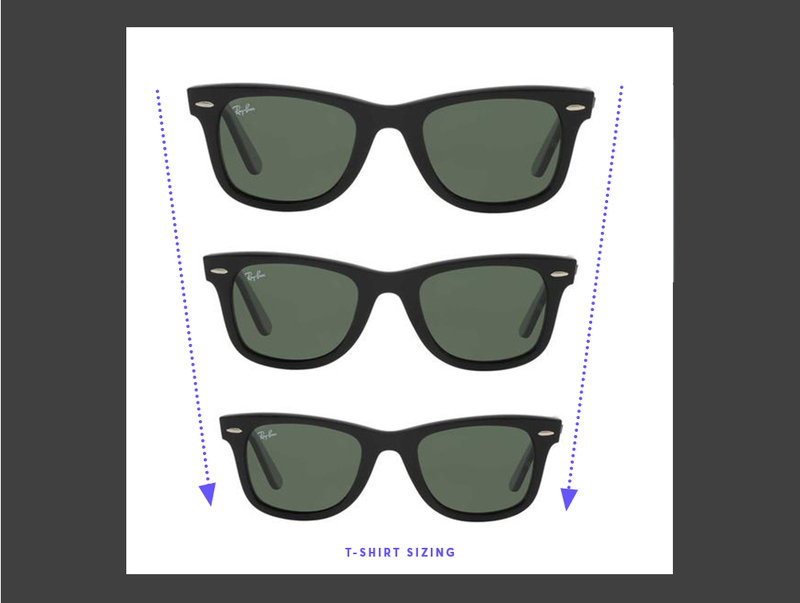 The wrong size T-shirt is forgiving of a poor fit but glasses are not, and with eyewear, bad fit can result in physical pain, constant slipping, or an unattractive aesthetic. This sizing method is definitely an improvement on the T-shirt sizing approach, but it’s still preset sizing that doesn't guarantee a perfect fit. Also, this approach does not take into account the shape, placement, or asymmetry of your features. You may know you need glasses with an 18mm nose bridge width, but what shape is your nose bridge? Is it flat? Hooked? Pointy? Similarly, you may know you need a 145mm temple length, but no one's ears are perfectly symmetrical — so, 145mm might fit one side of your head but not the other. There are strict limitations to this sizing scale as well. For example, temple length usually comes in only 4 sizes: 135mm, 140mm, 145mm, or 150mm. So, as you can see, we’re basically back to the small, medium, large paradox explained above. What’s the alternative to stock eyewear? It starts with putting an end to the mentality that you have to fit your face into generic stock eyewear. You deserve bespoke eyewear that’s made to fit your face and only your face. “Bespoke” is a term used to describe goods that are custom made to fit one person based on several specific measurements. This one-of-a-kind craftsmanship is typically seen in high-end suiting, couture gowns — and now eyewear. Introducing Topology Eyewear — a bespoke-minded company that believes eyewear should be made one at a time for one person at a time, and guarantees a perfect fit for any face (or your money back). When you style glasses or sunglasses using the Topology Eyewear app for iOS, you don’t have to memorize any numbers or sizes. The fit is completely taken care of for you by one-of-a-kind technology that scans your face to capture over 2,000 unique measurements. From the contours of your nose to the placement of each ear, this virtual fitting identifies precisely what makes you, you. If you look closely, you can see the differences in each of these nose bridges, crafted carefully for 3 different individuals. From there, you choose your own style, color and material to perfectly suit your taste and personality. 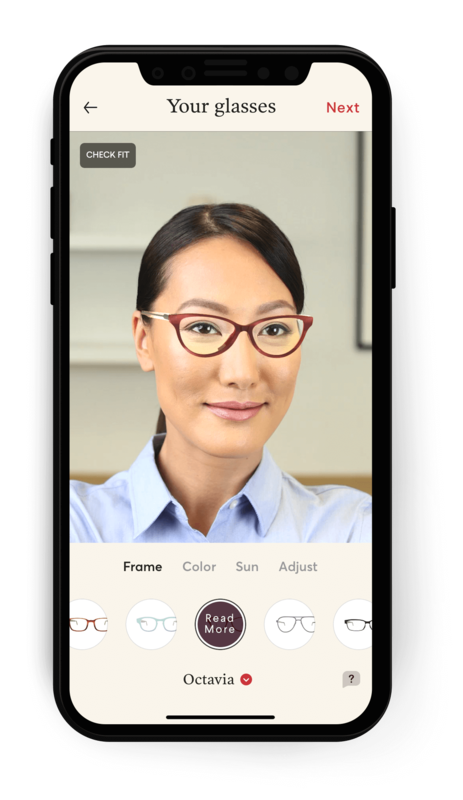 You can even preview, share, and purchase your custom-fit eyewear directly from your iPhone. Each pair is custom made one at a time using precision robotics, premium materials, and careful attention to detail at the company headquarters in San Francisco. No 3D printing, no gimmicks. The truth about eyewear sizing is that the only way to get the right fit for your face is to have eyewear made for your face. With Topology Eyewear, every frame fits, every color is available, and every design is yours. Click to learn more about custom-fit glasses by Topology Eyewear. Get Started on Your Perfect Fit Today!